This article first appeared in The Edge Malaysia Weekly, on December 4, 2017 - December 10, 2017. AT the close of trading last Thursday, Sime Darby Property Bhd ended at RM1.20 per share, 20% lower than its listing reference price of RM1.50. It is a reflection of the market’s wariness of the soft Malaysian property market at present, says chairman Tan Sri Abdul Wahid Omar, who sees a compelling investment case for Malaysia’s biggest developer by land bank. “Sime Darby Property’s sales and earnings record have been low when benchmarked against its peers. Hence, the selling pressure,” he tells The Edge, adding that the closing price represents a “huge discount of 61%” to its revalued net asset value (RNAV). “Share price aside, the new board and management will focus on improving Sime Darby Property’s fundamental performance,” he says. To be fair, it has been only one day’s trading for the demerged companies that used to form the Sime Darby conglomerate. The spun-off plantation business, now listed as Sime Darby Plantation Bhd, ended 58 sen lower at RM5.01. Sime Darby Bhd rose 27% to RM2.35 per share. For perspective, the case for unlocking value by demerging the conglomerate that was Sime Darby Bhd was not premised on simply breaking up into pure-play companies. The intention was also to create value in the long term, based on greater transparency and increased focus by each individually listed company’s management. In the case of Sime Darby Property, market observers say investors may be waiting to see how well its management can execute plans and deliver value post-listing. The developer is led by managing director Datuk Seri Amrin Awaluddin, a former banker who joined Sime Darby in the middle of this year. Prior to that, he was group managing director of Media Prima Bhd. Datuk Tong Poh Keow, former chief financial officer of the enlarged Sime Darby Bhd, is now executive director and chief financial officer of Sime Darby Property. Board chairman Abdul Wahid is also chairman of Sime Darby’s majority shareholder Permodalan Nasional Bhd (PNB), where he is driving a huge restructuring across PNB’s major investee companies. Post-listing, PNB controls almost 52% in Sime Darby Property. The Employees Provident Fund (EPF) has 9.51% while Retirement Fund Inc (KWAP) has 5.03%. At the listing ceremony on Thursday, Abdul Wahid remarked that for Sime Darby Property — as with the other Sime Darby entities — there will be “nowhere to hide and it will have to benchmark its performance against the likes of Eco World [Development Group] and S P Setia”. The investment case for the developer, however, is “compelling” to him. “I believe in the long-term prospects and potential for Sime Darby Property on three counts,” he says in a brief reply to The Edge. According to Abdul Wahid, the first is Sime Darby Property’s track record of about 45 years in developing major townships, which totals 23 active townships to date. That is in addition to its role as a partner in London’s Battersea Power Station development alongside S P Setia and the EPF. Secondly, it has the largest land bank among Malaysian developers at 20,763 acres, spanning from Selangor to Johor, he says. The land bank does not include “options for another 20,000 acres in future growth areas like Malaysia Vision Valley, Iskandar Malaysia and Penang”. The developer previously told investors that the option agreements, entered into with Sime Darby Plantation, are valid for five years from the listing date with an option for a three-year extension. As a comparison, the next largest developer by land bank is UEM Sunrise Bhd, which has about 13,000 acres. S P Setia has 5,218 acres, excluding 4,263 acres owned by I&P Group Sdn Bhd, which PNB is injecting into the developer. Eco World Development Group has 8,052.7 acres, according to its website. Thirdly, it also has a “strong financial position with shareholders’ funds of RM9.6 billion and low gearing level of 12%. This means that we have the financial strength and flexibility to execute development projects moving forward”, Abdul Wahid says. If the developer successfully leverages these factors with the right execution, there may be attractive upside for the stock, according to CIMB Research. In a Nov 29 note ahead of the listing of the demerged conglomerate, the research house put a target price of RM1.85 per share for Sime Darby Property. Its valuation is based on a 50% discount to the developer’s RNAV, which is larger than CIMB’s usual 20% to 30% discount for blue-chip developers. “Sime Darby Property has not been actively developing its land bank, which we believe has resulted in relatively lower returns for its shareholders,” says CIMB, remarking, however, that the developer’s asset value exceeds its market capitalisation despite a “flattish and uninspiring” near-term earnings outlook”. “As our valuation does not include the potential value enhancement from additional land bank of 20,602 acres under Malaysia Vision Valley option agreements and land option agreements, we see further upside to our RNAV and target price if Sime Darby Property manages to monetise or develop these sites in the future,” the research house says. 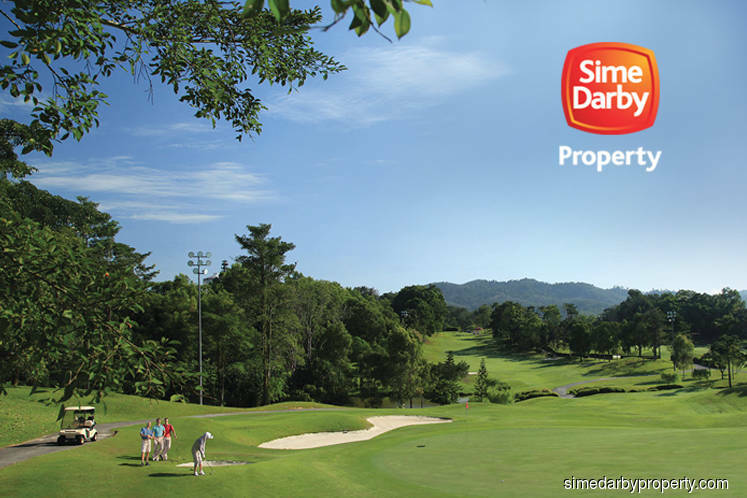 Moving forward, the spotlight will be on how Sime Darby Property manages its vast land bank. For investors banking on the management to get this aspect right, the investment play in the counter may require a longer-term perspective. “We are taking a three-pronged approach to take advantage of this huge land bank — own development of land within and adjacent to our existing core townships/developments and partnering parties who can add value,” says Abdul Wahid, adding that the developer will also look at “monetisation of a portion of land not within our immediate focus areas”. Abdul Wahid reiterates his confidence that the greater focus, capital allocation and transparency of performance post-demerger will help the three demerged entities do well, “thus creating more value for the shareholders”. “A new beginning indeed for all three entities,” he says.